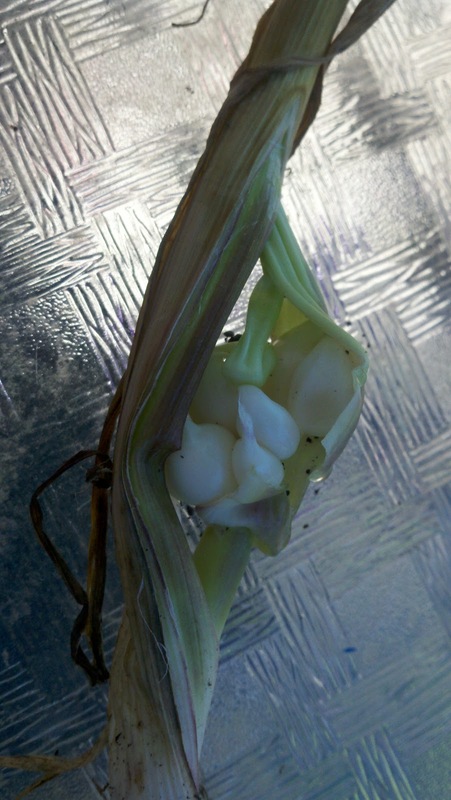 Chronicles of a Frugal Gardener: Garlic! Today I harvested the rest of my garlic. I have been randomly taking bulbs out of the garden for cooking for a couple weeks, but today I deemed as harvest day. It was time as they were bent over and the leaves were starting to dry. I had my husband smell these and he said, "Oh". Not is the not interested type of oh but the wow those smell good, I wonder what we can put these in kind of oh. The OH MAN! That smells wonderful kind of oh. The larger bulbs are Chet's Italian Red a softneck heirloom variety. You can read more about them in my previous blog here. I am thinking that this should have been harvested a little earlier as it gave birth. I removed as much dirt from the roots as I could and hung them under my porch to cure for about 2 weeks. 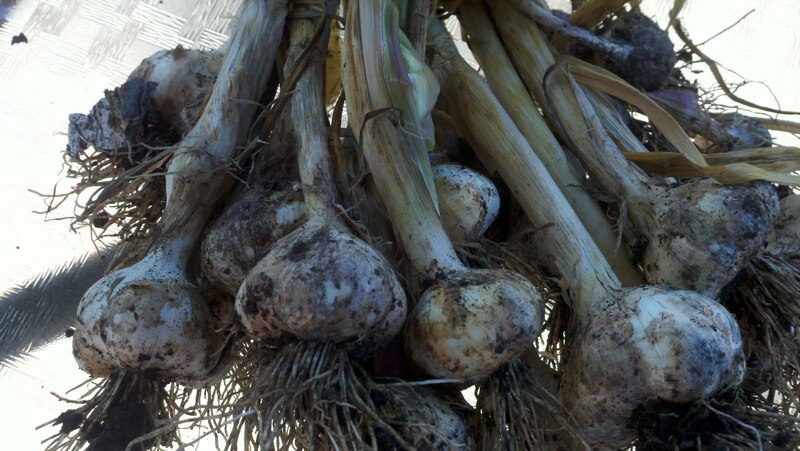 I have one more variety in the ground yet, the Elephant Garlic. They seemed to be going strong without much drying. Those suckers should be huge. 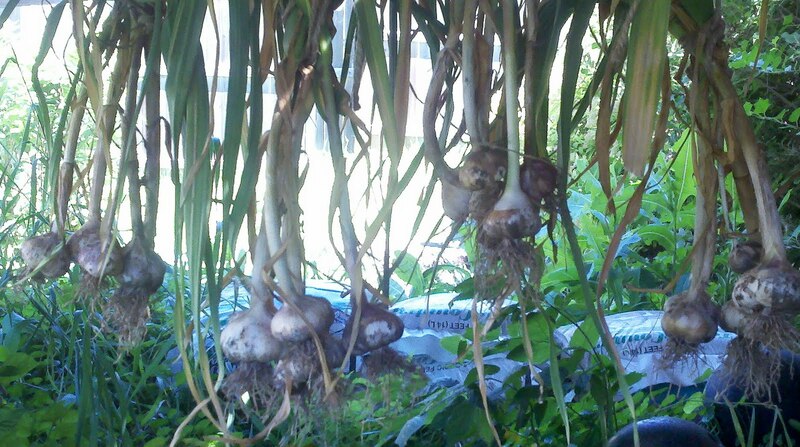 Last I checked, my garlic plants were still really green...so I guess it will be a while yet before I pull mine up. Yours look very delicious and they are a good size. How are your tomatoes doing? I have green tomatoes popping up left and right and blooms everywhere. I was late in planting them so I am surprised they are this far along already. How about yours? BTW, this is me, this blog design will not allow me to post as me. I planted a bunch of differnt kinds of garlic my uncle had given me this year...Ididn't have ay idea when to take them up. After reading your blog I think its almost time! THANKS! I love love love growing garlic. And the smell is out of this world when you take it out of the ground.